Actually, one of the biggest driving forces for me to go there, is knowing how much you enjoy images from that location. Hangar 5 was my place and I was a bit sad when the RNoAF Pilot School was moved to Bardufoss. From that spot at Værnes, I guess you can also see three control towers from different time periodes. Last edited by Sterkoder; February 23rd, 2010, 21:47. I wonder if I could get a "behind-the-scenes tour" some day, that would have been so awesome. I think the Boeing 737 image above is not possible anymore as the trees in between has grown some since it was taken (well, that is what I remember, but I could be wrong). If you are not easily embarrassed by anything ( 'ikke beskjeden' as we say in norwegian ), you could always knock on the door to Avinor and their 'Lufthavnvakt' to explain your business. You can explain to them that you are a plainspotter (as I belive they know what that is at Værnes) and ask them if you can ride along in the car when they take one of their many inspection drives along the tarmac, taxiways and runway. (I know knocking on Avinor/Lufthavnvaktas door works on some airports, among them Kvernberget. One important thing when doing so: be serious, explain your passion for taking pictures of airplanes in a way they understand ). If that don't work, maybe you can contact Trondheim Flyklubb/Værnes Flyklubb to try to get on the airside of the fence (as their guest)....., but of course, it would've been a lot easier if you knew someone there. One last idea, and a longer way to go, is to get to know one of the other planespotters on those rocks. As you get to know them better and talking gets easier, you might want to ask who the one was who got a tour on the airside of the fence once...., as I remember one of them has. Maybe you can get in contact with him (who clearly knows somebody on the inside), or you can get contact info from him to maybe get a tour of yourself. Last edited by Sterkoder; February 23rd, 2010, 22:25. I will keep it in my mind... just in case I should be brave enough some day - and too bored of standing freezing on the cold spotter place. Anyway. Drove up there during my lunchbreak today because someone described a plane I never did see before, but there were nothing more interesting than a tri-jet Dassault Falcon 900 and a tiny little Cessna 500 Citation Mustang. 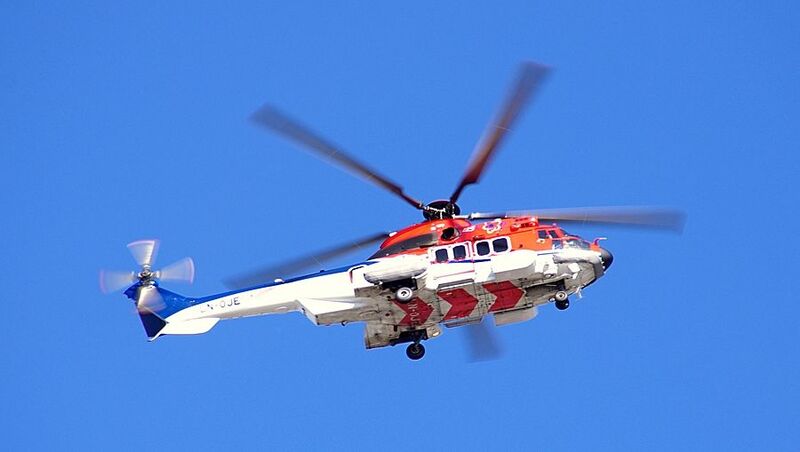 A helicopter (Sikorsky S-92) did arrive and at stand #3 was a Dash-8 from Widerøe. Tonight, Sunday 31st October at 20:45 local time, an era is over at Kvernberget. 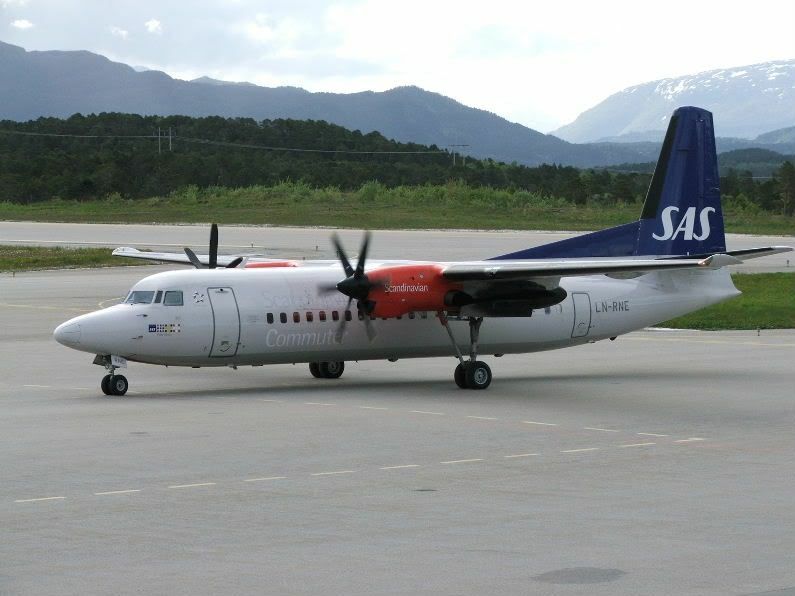 At 20:45 the last of SAS's Fokker 50 operation at this airport, and in Norway at all, took off as flight SK2327 to Bergen. Here's a picture I took in May 2005. -"Thank you, Fokker 50...., I will miss your design and sound!" Thank you for the photo. That is one plane I have never ridden and I do not think I have ever seen one. Looking online there were very few operators in North America. 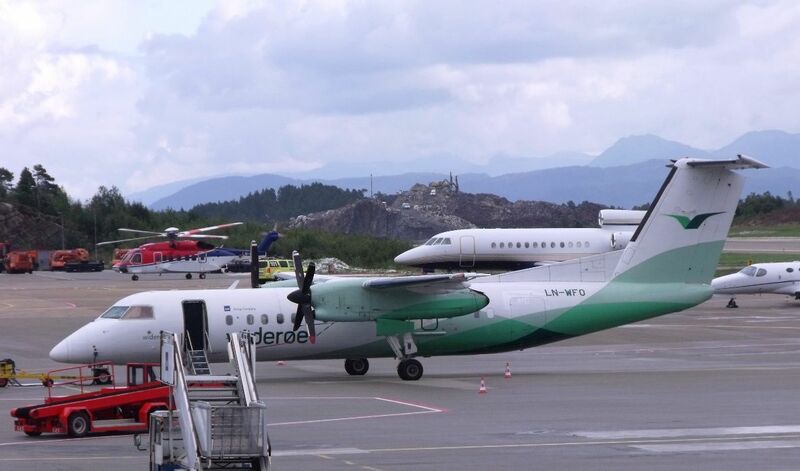 It's a nice design, allright...., but lately (over the last years) there has been some snags which has forced SAS to cancel flights, which again has led to Kristiansund being without airborne connection with the rest of the country for large periodes of the day. It's a quite noisy plane inside, especially during take-off and climb. Once at cruise it's ok. In the older days this design was the Fokker F-27, without the small winglets and with two Rolls-Royce Dart engines. Then there was four-bladed props and the loud howl from the engines in taxi could kill a guy!! At Kvernberget the F-27 was used by Braathens SAFE, Air Executrive, and the F-50 version by Busy Bee, Norwegian Air Shuttle and SAS. About seven years ago, I had the pleasure of flying regularly with these aircraft. Trondheim-Værnes to Kvernberget vv, with Norwegian Air Shuttle on charter to Statoil. A very comfortable plane, at least on these flights, that normally had about a dozen passengers. SAS, and regional SAS Management in Molde wanted us in Kristiansund to belive that there almost was none flying between Kristiansund-Trondheim and vv. 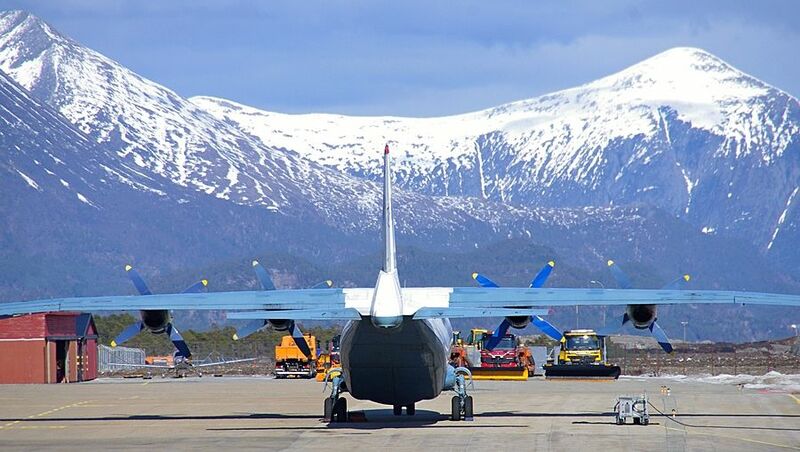 The regional SAS Management in Molde has always wanted the worst for Kvernberget, but after SAS ended their KSU-TRM operation, they kept on flying between Molde-Trondheim and vv, and Statoil had to charter a 20-seater to operate between KSU-TRM. 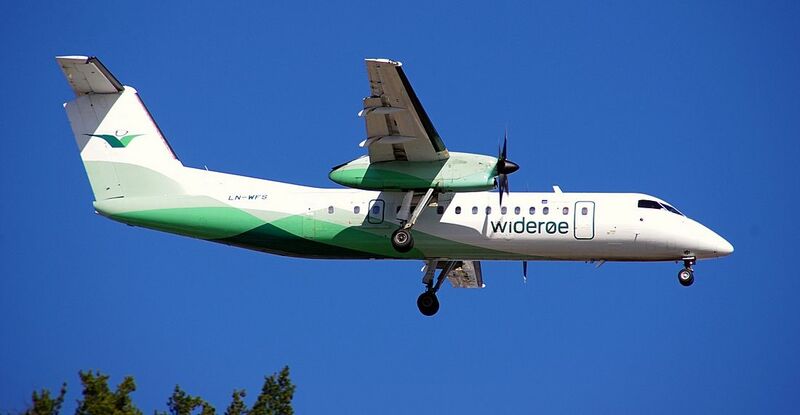 Your info, added up with "civilian" passengers, show us that this stretch is lifeworthy and that is exactly what Widerøe sees. One thing I can agree with those SAS-people in, is that it might be an overkill to use a 50-seater Fokker F-50. So..., then you are familiar with Kvernberget and the narrow space in the helio terminal then. There are still a number of the F-50s flying in this region. They are used by Bangkok Air on the Kho Samui run, by MAS in Sabah and Sarawak and by Pelangi in Indonesia, just to mention the ones I have flown with fairly recently. In the 1970s the F-27 was used on what was know as the "Borneo Milk Run", starting in Kuching and taking in Sibu, Bintulu, Miri, Labuan, Kota Kinabalu and on to Sandakan, Laut Daud and Tawau on the East coats of Sabah. On one flight it go a little bumpy and a couple of cartons containing live 7 day old chicks fell out of the cargo rack, which was forward and at the same deck as the passenger cabin. The young Stewardess grabbed a serving tray and tried to round up the chick, without too much success. She never got more than two on the tray at any one time. Hilarious sight and good memory from a time long gone. F-27s were also flying on Vigra in the 1960s, I remember. Last edited by ombugge; November 3rd, 2010, 15:02. You know, the main wingbar of the F-27, and in fact F-50, was/is so stiff that it can be rather unpleasant to fly with them in heavy turbulence. Last posting was in November 2010, and that's just too long ago. Today me and a colleague worked on the very east side of Vestbase, just below the short final of runway 07 at Kvernberget. I brought my camera along, well aware that I had never taken many pictures of moveing objects before. Last edited by Sterkoder; April 19th, 2012, 20:25. For the third time in a short while, AeroVis Airlines Ltd. visit Kvernberget airport with an old Antonov An-12BP. Don't know if it's the same aircraft, but today it was reg. UR-CFB. Parked at stand 5, front headed east, it was rather impossible to get a good picture. But anyway, here are three with the great mountains at Tustna as backdrop. (The red hangar under the Antonovs left wing, is the hangar belonging to Møre Flyklubb. 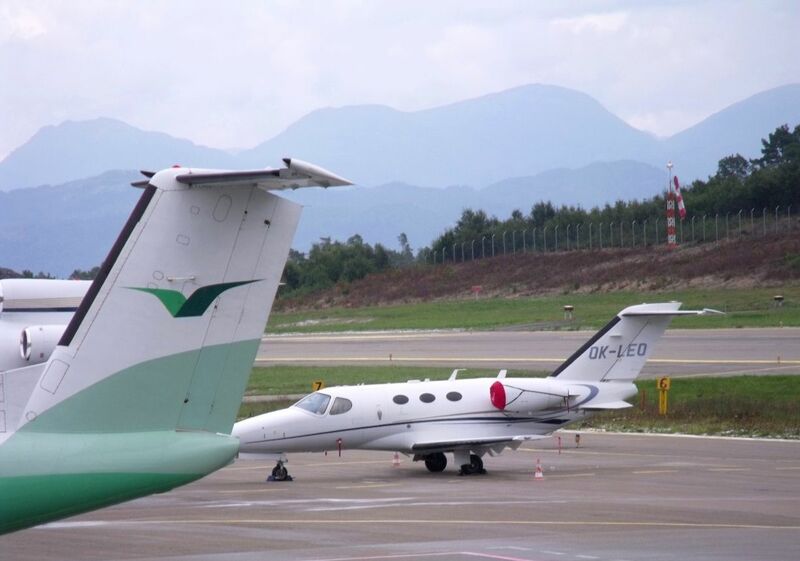 A privately owned Cirrus aircraft can be seen outside. I'm not sure with this particular aircraft, but usually most of the civil russian cargoplanes was formely operated by the russian armed forces. You can see the rounded remains of the rear end gun turret under the vertical rudder. The windows for the rear gunner are plugged. Last edited by Sterkoder; May 4th, 2012, 20:10.